We are very excited to present our 3rd annual high school youth of the year award. 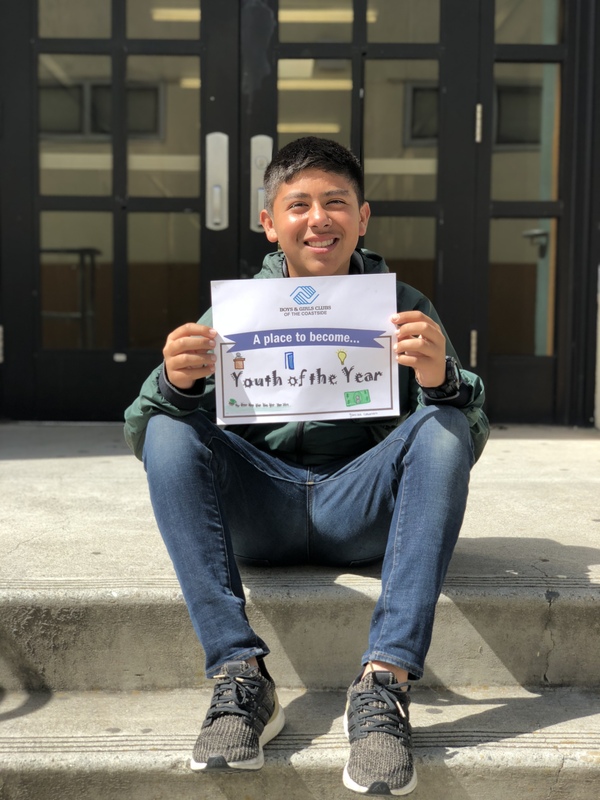 This year’s recipient has been a Boys and Girls Club of the Coastside member since 7th grade and now is graduating high school next week. We chose this individual based on their hard work academically, leadership in the Club, and community involvement. This individual has served in the Teen Center Keystone Leadership Club and is also a BGCC employee at our middle school location. Every day he would come to the club early and diligently work on his homework to get it completed before his work day started. 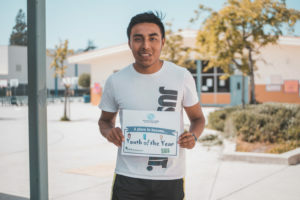 Most of high school this individual worked two jobs, played tennis for HMBHS, all while continuing to maintain above a 3.6 GPA with 2 AP classes. He is passionate about helping younger Club members at the Cunha site and summer programs with homework and leading sports activities. He is one of the most self-motivated teens I have seen in my 9 years with the Club. It has been our pleasure to get to know this young man and watch him grow over the past 6 years. 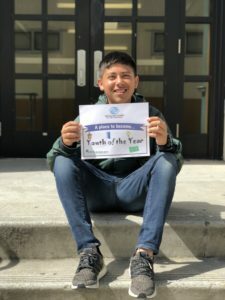 On behalf of the Boys & Girls Club of the Coastside, I would like to present our 3rd annual High School Youth of the Year award to Miguelangel Isidro. We chose the recipient based on academic excellence, leadership in the club, and community involvement. He is also an athlete and a self-assured leader with the unique ability, to inspire confidence in fellow young people. It has been our pleasure to get to know this young man and watch him grow over the past years, as well as sharing memorable moments playing soccer in the cage and other outside activates. On behalf of the Boys & Girls Club of the Coastside, I would like to present our 8th annual, Jr. 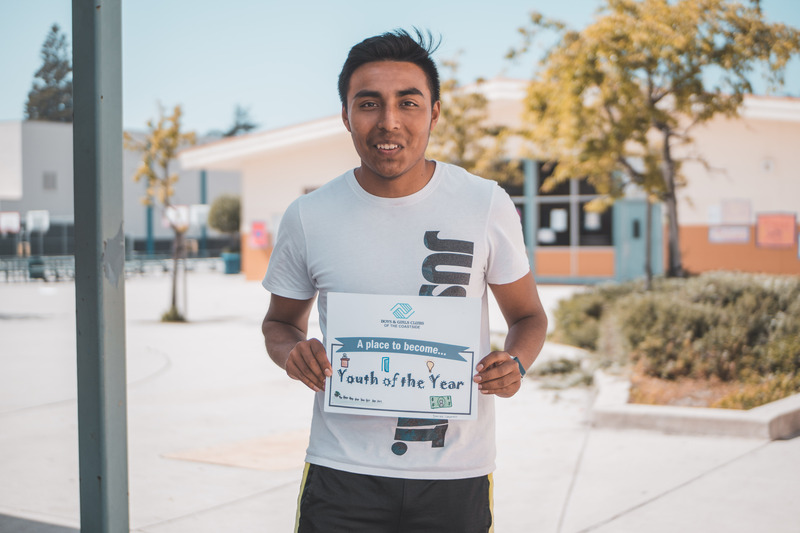 Youth of the Year Award to Diego Acosta. "To enable all young people, especially those who need us most, to reach their full potential as productive, caring, responsible citizens."